With a glorious tradition, Nanjing University of Posts and Telecommunications has made remarkable contributions to the establishment and development of the People’s Republic of China. Its predecessor was Wartime Postal Administration Cadre Training Class of Shandong Anti-Japanese Base, which was established in 1942 and was one of the earliest schools of our Party and army for systematically training telecommunication talents. In 1958, it was converted into Nanjing Institute of Posts and Telecommunications upon the approval of the State Council. 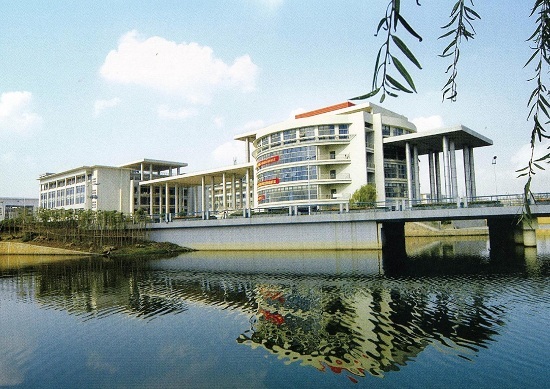 In April 2005, it was renamed as Nanjing University of Posts and Telecommunications. Having been directly under the Ministry of Posts and Telecommunications (now the Ministry of Industry and Information Technology) before, the institute was in February 2000 turned over to the co-administration by the Jiangsu Government and Ministry of Industry and Information Technology, with the Jiangsu Government assuming the main administration. In October 2013, NUPT incorporated Nanjing College for Population Program Management, according to the official documents issued by Ministry of Education and Jiangsu Provincial People’s Government. NUPT adheres to the school ethos of “diligence, practicality, progression and innovation”, and carries out the school motto of “morality, persistence, practicality and sincerity”. NUPT has so far developed into a university focusing on engineering, characterized by information technology, integrating such disciplines as science, engineering, economics, management, literature, education, art and law, and combining the educational programs leading to bachelor’s, master’s and doctor’s degrees. 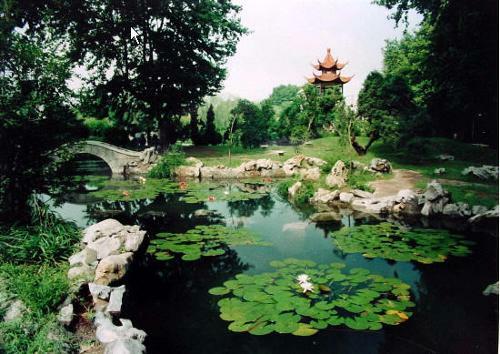 The university is located in Nanjing, a historical and cultural city, and owns four campuses: Xianlin campus, Sanpailou campus, Suojincun campus and Jiangning campus. NUPT has 21 schools (departments), including: School of Telecommunication and Information Engineering, School of Electronic Science and Engineering, School of Optoelectronic Engineering, School of Computer Science and Technology/School of Software, School of Automation, School of Materials Science and Engineering, School of Internet of Things, School of Sciences, School of Geographical and Biological Information, School of Media and Arts, School of Management, School of Economics, School of Marxism, School of Humanities and Social Science, School of Foreign Languages, School of Educational Science and Technology, School of Bell, School of Overseas Education, Department of Physical Education, School of Extended Education/School of Applied Technology, and Engineering Training Center；more than 20 research institutes (centers), including: Institute of Signal Processing and Transmission, Institute of Information Materials and Nanotechnology, Institute of Internet of Things and Sensor Networks, Institute of Advanced Technology, Institute of Big Data, Institute of Development Strategies of Information Industry, Institute of Population Studies, Engineering Research Center of Broadband Wireless Telecommunication Technology of Ministry of Education; 2 provincial “2011 Program” collaborative innovation centers; and an independent college (Tongda College of NUPT). NUPT has made proud achievements in producing talents. The undergraduate education of the university has been rated first-class by MoE. Over the years, NUPT has been persistent in strengthening its education system in efforts to turn out graduates with solid basics, all-round qualities and competitive skills. In recent years, NUPT has raked in bounteous prizes of various calibers in this regard: 1 First Prize, 1 Second Prize of National Teaching Achievements; 17 Prizes of Jiangsu Teaching Achievements; 1 National Quality Course; 1 National Demonstration Bilingual Course; 1 National Quality Course as Shared Resources; 1 MoE-Intel Quality Course; 2 Jiangsu Higher Education Talent Cultivation Innovation Trial Base Course; 22 Jiangsu Quality Courses (including undergraduate Quality Bilingual Courses); 2 Jiangsu Outstanding Course Clusters; 2 National Quality Textbooks; 21 National “11th Five-year Plan” Textbooks; 8 National “12th Five-year Plan” Textbooks. Since the beginning of the “12th Five-year Plan”, the undergraduates of NUPT have brought home a total of 1328 prizes at the provincial or ministerial level and above: the “Sony Cup”, the top prize of the National Electronic Designing Competition for Undergraduates and Post-graduates; the 2010, 2011 2013 and 2014 championships of China Robot Competition and Robocup Open; Asian championship and the world’s Runner-up of NXP World Technologic Design Competition; First Prize of China Energy Conservation Competition for College Students; First Prize of MoE University Campus Culture Construction Awards; First Prize of MoE Extra Curricular Academic, Scientific and Technological Works; First Prize in China Undergraduate Mathematical Contest in Modeling. NUPT has throughout its 70-year history trained and delivered over 100,000 elite professionals in science, technology and management, earning itself a reputation of the “Cradle of China’s IT Talents”. The graduates are widely welcomed by employers by virtue of their solid foundation, high quality and good capability. NUPT has been a strong contributor in scientific and technological innovation and social services, demonstrating particular competitiveness in such areas as “Modern Information Exchange and Communication Network”, “Mobile Telecommunications and Electromagnetic Compatibility”, “Information Theory and Communication Signal Processing”, “Organic Electronics and Information Display”, “Information Management and Information System”, “Image Processing and Digital Video Technology”, “Computer Communication and Information Network Security”, “Optical Communication and Optical Electronic Technology”, “Quantum Information Processing”, “Information Materials and Nanotechnology”, “Nonlinear Circuit”, “Intelligence Optimum Technology” and “Demography”. In the past three years, NUPT has undertaken a total of 2919 science and research projects at different levels, including National 973 Projects, National 863 Projects and National Natural Science Fund Projects; published a total of 9405 research papers, 4116 of which have been included by SCI, EI and ISTP; and won the Second Prize of National Natural Science Awards as well as the First Prize of Higher Education Institute Scientific Research Achievements (Social Sciences). NUPT uses its Science Park of Internet of Things as a platform to incubate innovations and startup enterprises with distinctive subject characteristics and competitiveness as well as independent intellectual property rights, fulfilling the duties of cultivating professionals, boosting scientific researches, and serving the society.